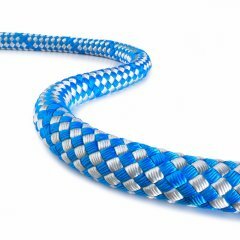 The DuraTEN fiber rope is the perfect choice for applications where high breaking forces at minimal weight are required. 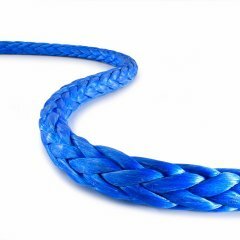 This general purpose rope also offers high bending fatigue strength as well as abrasion resistance, and a long service life. 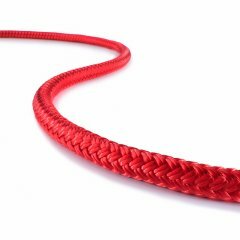 DuraTEN is a high strength fiber rope, made of UHMWPE (ultrahigh-molecular-weight-polyethylene) fibers. It offers a high breaking strength, has a high reverse bending fatigue strength, and a long service life. UHMWPE fibers are distinguished by their extremely high strength in comparison to their weight. Other characteristics of this high-end and very versatile fiber include: maximum abrasion resistance, low elongation, no water absorption, buoyancy and good UV resistance. DuraTEN is available without any core or optionally with a PES cover (DuraTEN Pro-P) and is especially suitable when used for drum, spill or vehicle winches, overhead line construction or as a mounting rope.